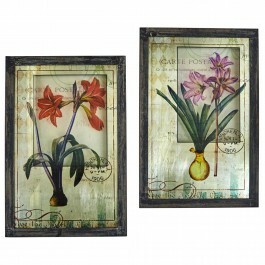 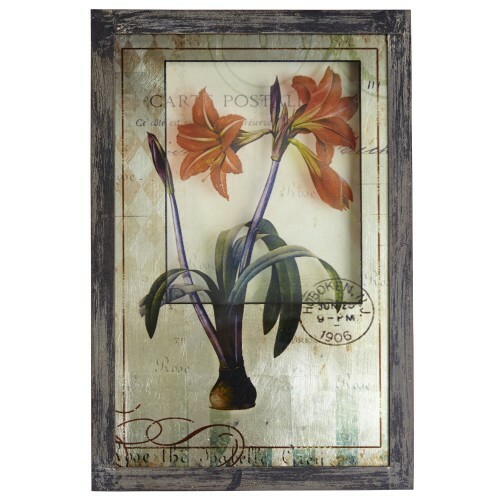 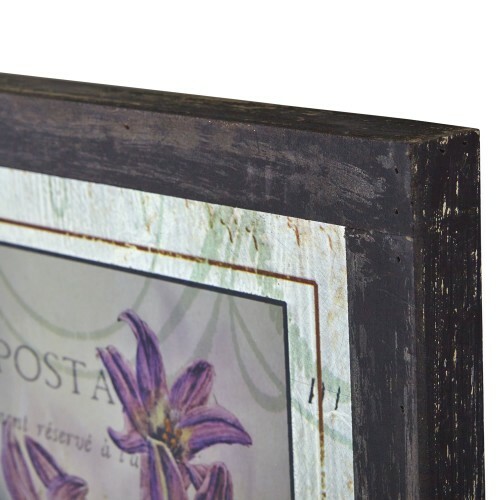 Finished in a wooden frame, the set of two floral prints measure 23.75” tall, 15.75” wide. Both posters feature red and pink lily flowers against an elegant backdrop of muted colors and patterns, French phrases and ornate detailing. 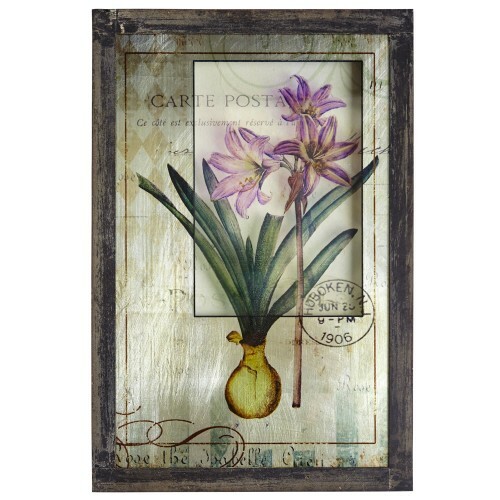 Hang these floral posters under a crystal chandelier or displayed in the bathroom with luxurious soaps and linens for a French-country feel.